This entry was posted on April 11, 2016 by admin. 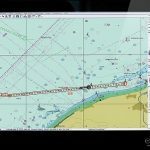 Raytheon Anschütz, the German navigation manufacturer has announced that it is can deliver new IEC-/IMO-compliant ECDIS software. According to latest regulations, shipowners must update their ECDIS or Electronic Chart Display & Information System by September 1, 2017. Ship owners will be able to get a cost effective upgrade or update for their systems. The updated system will have new product improvements that will help to reduce the workload of users, make ECDIS more effective with planning and execution as well as improve navigational safety. Raytheon Anschütz has supplied the ECDIS as part of the Synapsis bridge system or as part of the ECDIS 24 module. The Synapsis is an advanced ECDIS that offers wide functional range that has integrated capabilities with other types of bridge systems. The ECDIS 24 was created for the special needs of retrofit, which comes as complete, professional ECDIS package that gives advanced functionality and cost efficient hardware of the ECDIS software. Most vessels are ready for the upcoming update - more than the half of the world’s tankers are ready to comply with the new SOLAS regulation that states it is mandatory ECDIS software if it is more than 3,000 gross tons. But, over 4000 tankers aren’t ready for the update. Thomas Mellor, member of the UKHO, has stated that even though there is a grace period of a year from July 1, 2015, the ECDIS supply chain can be under a lot of pressure. Tanker operators and owners that haven’t planned to adopt the ECDIS need to do so immediately to make the transition in a timely manner and avoid any risk of non-compliance. From the reputational, commercial, and operational standpoint, the consequences of not complying with the new ECDIS regulations can be quite severe. The ECDIS transition will not only include the installation of the ECDIS, but crew training, revisions to bridge procedures and policies, as well as class approve and more. The UKHO states the process is expected to put a lot of pressure on the ECDIS supply chain which include shipyards, crew, OEMs, crewing companies, Flag States, and class societies and will require advance planning by the tanker companies.